Only you will know. Carry with confidence when you carry the Inside-The-Pant Holster from Pro-Tech Outdoors. 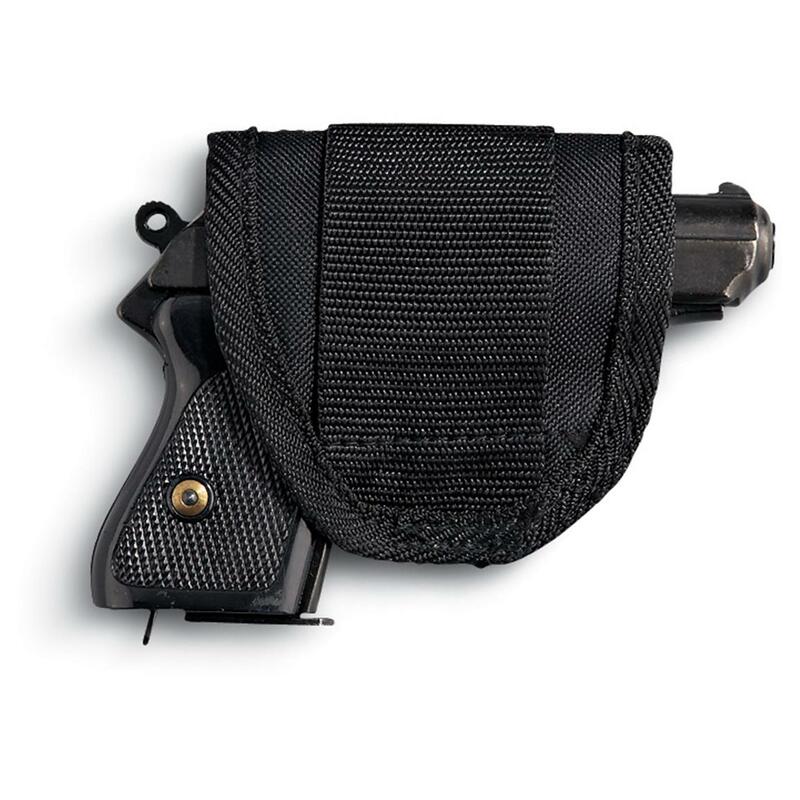 Heavy-duty nylon Holster holds most medium frame pistols safely and securely, providing easy access and pistol protection. Measures approxl 4" x 4", weighs 2 oz. Measures: Approx. 4" x 4"
Pro-Tech Outdoors IWB Inside-The-Waistband Holster, Medium/Small Frame Revolvers/Autos, Ambidextrous is rated 4.2 out of 5 by 154. 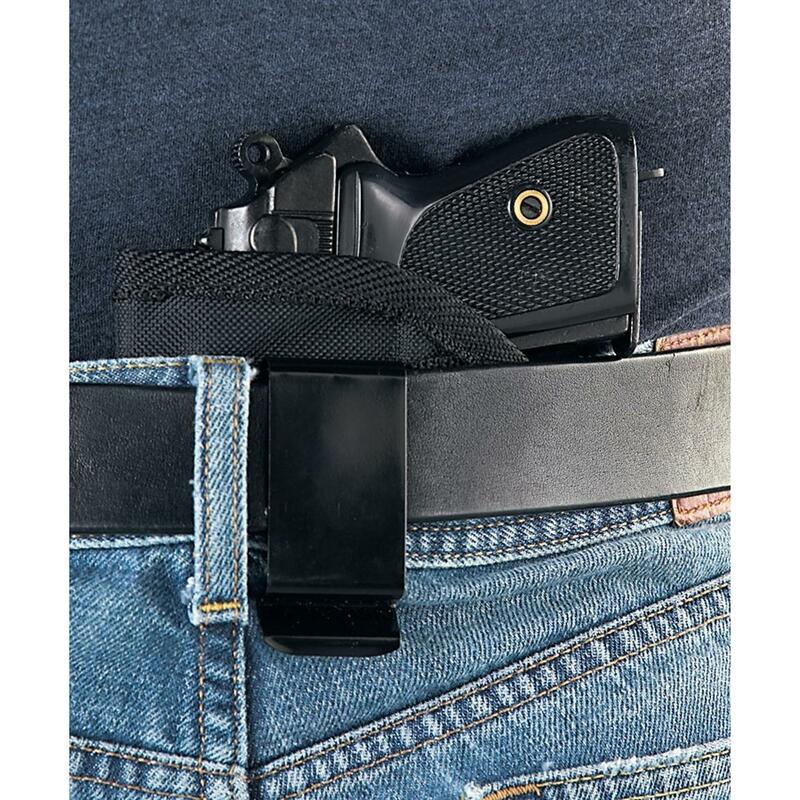 Rated 2 out of 5 by Ralph Rat from No Easy-On/Off The design of the metal belt-clip prevents use on wide or thick belts, prevents placement without removing the belt, and scars the belt. Rated 5 out of 5 by Vincent from Good Quality Well made and of good quality. Came in as a left hadn holster, but the clip can be reversed with some effort. Rated 4 out of 5 by DD832 from Works fine Works fine. Holds my P 64 securely. The holster came as a left-hander, So I had to move the clip to the other side. The clip is very hard to remove and change, and is hard to get on and off the belt/pants, but I see that as a plus. It definitely will not come off accidentally. Rated 5 out of 5 by Taz40 from Worked as needed. The holster worked and fit perfectly on my 4 inch Barrel S&W Sigma 40VE/ Clock 27 type frame. Keep in mind- This really only protects the trigger area of your defense weapon. The provided picture is a good visual. Easy to change for ambidextrous fittings. Rated 5 out of 5 by Poppadon from Nice economy holster! I needed a new holster for my wife's .32.